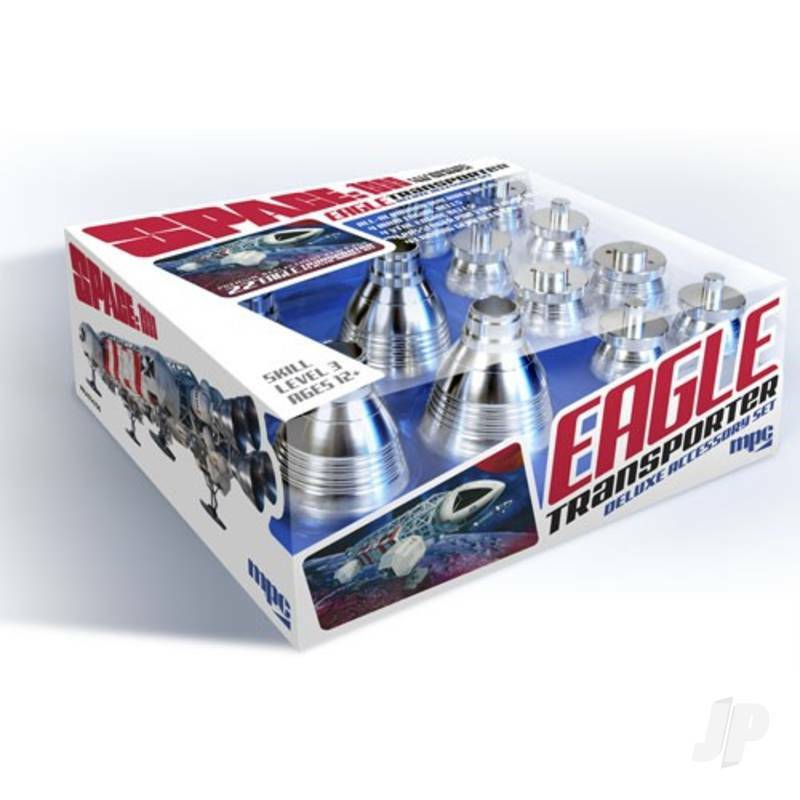 These authentically detailed add-on parts from MPC offer modelers the ability to take their new 22' Space:1999 Eagle Transporter model kit (MPC825) to the next level. These machine-turned aluminium parts feature exquisite quality that cant be approached in injected styrene. The parts are precision tooled to exact in-scale detail and have been polished to a semi-gloss sheen. ALSO AVAILABLE! MKA016/06 Small Metal Parts Set includes sixteen RCS (reaction control system) engine bells, which replace parts to be mounted to the four shoulder pods on the model.